A big part of the health conversation, and you've probably heard a lot about this, is digestion. What's going on in your gut? Your microbiome. This incredible seemingly rain forest environment in our bodies where we have different species. We have a different array where we've got some species that are actually endangered, some are extinct because of our lifestyle practices, and some are flourishing. And you can actually get also overgrowth of some different populations as well that can cause something called dysbiosis. So it's a big conversation. A lot of people today are dealing with gastrointestinal issues, and a lot of people are dealing with things that spring from gastrointestinal issues, and they have no idea that they're even connected. And this is ranging from autoimmune diseases, to skin conditions, to even issues with our brain. A lot of that is residing in our microbiome. It's the foundation for health, and it's where these food cells get turned into you cells, so it's kind of important. And we need to be more educated on how that whole system is working behind the scenes for our good, and how can we take care of it? And you'll be surprised today to hear that it's not all about nutrition. It's not all about the things you put into your gut. There are certain things you could do beyond just the food that you eat that can improve your digestion. And I've got the perfect person on the show to talk about this, and she's one of my favorite people in the world just in general, but also when it comes to digestion, she's one of the best in the world. Before we do that though, I want to give a quick shout-out to something that I put into my belly, and also the bellies of my friends and family, my kids have this on a daily basis as well, and this is Organifi. And this is a green superfood blend that's featuring many of my favorite superfoods. So we're talking spirulina, which is the highest protein food in the world- highest protein food by weight. It's about 71% protein by weight, and it's also a complete protein which is pretty rare in this kind of plantlike kingdom, but this is more actually like an algae. It also has an interesting compound called fikosianin which is clinically proven to increase stem cell genesis. What?! Creation of stem cells, that's what that means, and stem cells become everything your body needs. You know, stem cells become muscle cells, or heart cells, or adipose tissue. Stem cells are kind of these seed cells, and this is one of the very rare foods that can actually increase that process of stem cell genesis. Also it has chlorella with chlorella growth factor, and it has a really interesting ability to help your body to remove heavy metals, which is amazing as well. Well they actually make this formula taste amazing. They've got the coconut water, mint, it just tastes really good, and I've tried literally dozens of different green blends over the years trying to find the right one for me as far as not just the nutrients, but also the taste, and Organifi does in fact taste the best. Kid tested, Model Health Show approved. Head over, check them out. You get 20% off, exclusive 20% off of your entire purchase from anything at Organifi. So head over to www.Organifi.com/model and you're going to get 20% off the green juice blend, which is the one I was just describing, they've also got the new red juice blend which is loaded with antioxidants. They've got one of my favorite turmeric products as well, so this is great for inflammation. Head over, check them out. They've got some incredible stuff and they do stuff the right way. They are third party tested, so they're getting the products tested for impurities, heavy metals, all that stuff, so you're actually getting something that's safe, and this is going beyond what you see in the business of supplements because a lot of supplement companies- this is not a very regulated industry. To go that extra step and to invest their own money to make sure that they're giving you a safe product as well means a lot to me personally. So head over, check them out, www.Organifi.com/model. Now let's get to the iTunes review of the week. ITunes Review: Another five star review titled, 'Inspirational and Real' by TheElitePetite. 'I have never left a review in my life, but after listening to so many of his podcasts I couldn't help but share. This podcast is great. Shawn's subjects are so diverse, the special guests are so knowledgeable in their craft, and he has a great speaking voice. Shawn Stevenson: Wow, what an honor to be the first person that you actually leave a review for! That means so much to me. Thank you so much for taking the time to do that, I appreciate it immensely. I know that it can be tough to pop over and pause the episode right now, pop over to iTunes and leave a review. I know it can take like two whole minutes, but everybody thank you so much for leaving these reviews, and if you've yet to do so, it just takes two minutes. So if you could pop over and do that, I'd truly, truly appreciate it and I promise we've got so much good stuff coming for you guys, so many amazing guests, and some incredible show topics, but none more important than today. And on that note, let's get to our special guest. 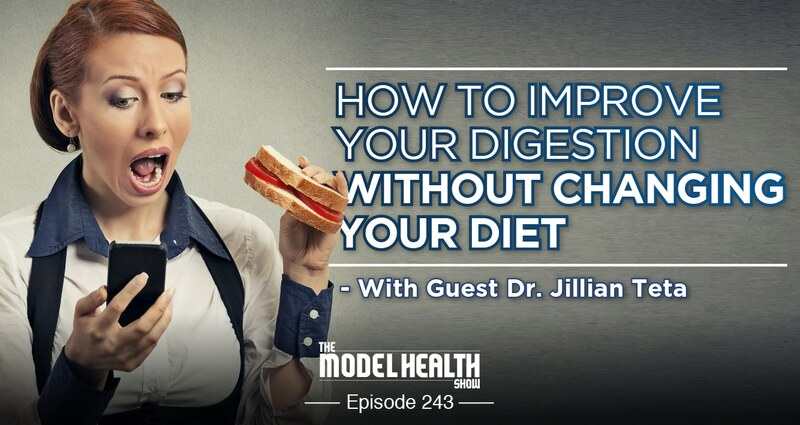 Our guest today is Dr. Jillian Teta, and she's the author of 'Natural Solutions for Digestive Health,' which is on my bookshelf, one of my books that I've read multiple times. And she's also the creator of the Fix Your Digestion Gut Restoration Program; an online do-it-yourself comprehensive system that can be used by anyone with digestive distress or digestive disorders to feel better. She writes and speaks for several publications and venues including The Huffington Post, Parade, and Publishers Weekly. And Dr. Teta is the past President of the North Carolina Association of Naturopathic Physicians, and practices at the Naturopathic Health Clinic of North Carolina in Winston-Salem. She received her Doctorate in Naturopathic Medicine at Bastyr University and received her Bachelor's and Master's degree from Boston University in Biology and Energy and Environmental Analysis respectively. 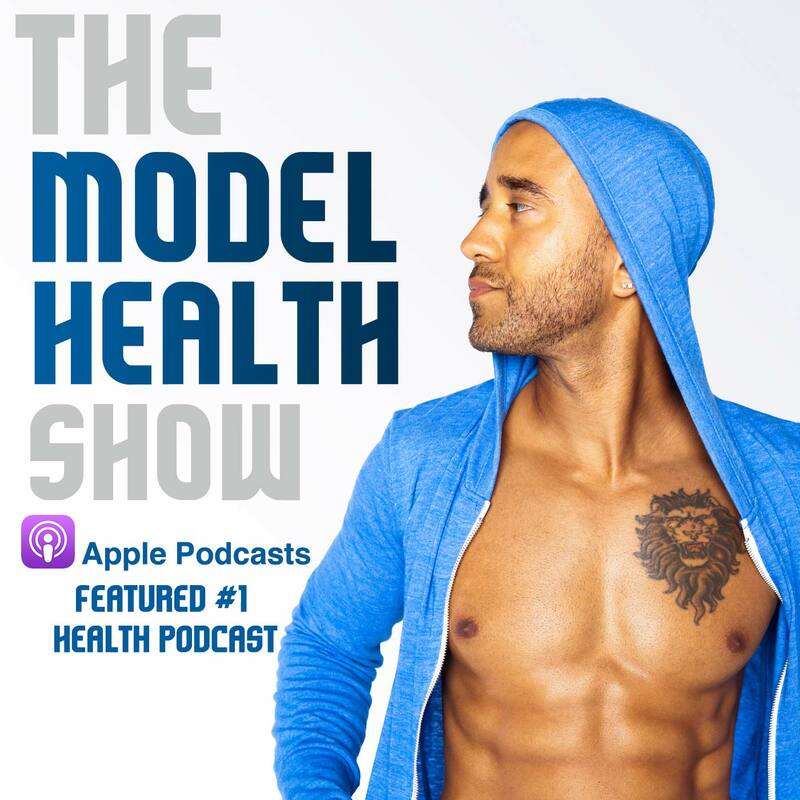 And in her free time she enjoys walks in the woods and cooking delicious things, and I've been checking out her kombucha videos on Instagram, and I'd like to welcome my friend back to The Model Health Show, Dr. Jillian Teta. How are you doing today, Jillian? Dr. Jillian Teta: Oh hey Shawn, thank you so much for having me back. It's good to see you again. Shawn Stevenson: It's my pleasure! I'm so happy to see you. And everybody if you can, you can pop over and check out the video on YouTube as well. And Jillian, this is like- when you told me about this topic, I was just blown away because this is something we don't think about. When we think about digestion we just tend to think about food. Shawn Stevenson: So what was- first let's talk a little bit about digestion in general. You know some of the pieces just to give some people a highlight if they've yet to listen to the past episodes, which we'll put in the show notes. Dr. Jillian Teta: Yeah, cool. So the reason why I really wanted to introduce this topic to your listeners is because we do have such a heavy, heavy focus on the foods that we eat in relationship to digestive health. And while the foods that we eat are exquisitely important, no one is denying that, however our digestive health is not 100% fully dependent on the food that we're eating. There are other aspects of digestive health and wellness. Those things look like our ability to actually digest and break down our food. I call this digestive fire, which is essentially the body's ability to break down proteins, and fats, and carbohydrates into their little teeny tiny constituent building block molecules of amino acids, fatty acids, and starches so that they actually can be absorbed into the body, right? Because you can be eating the perfect for you nutrition, but if you can't actually break it down, and you can't absorb it, you're not going to be deriving the full benefit. So our digestive ability is important. You spent a good amount of time in the intro talking about the health and sort of robustness of the microbiome. We'll be chatting about that, that's very important. We've got the integrity of the lining of the GI tract from top to bottom, and we've got the health of the second brain, and that gut brain axis. So there are a lot of facets to optimal digestive health besides simply our nutrition. Shawn Stevenson: Can we talk a little bit about- you just said something, this gut brain axis. Shawn Stevenson: Can we talk a little bit more about that? It's got a specific name, too. Can you share that with everybody? Dr. Jillian Teta: Yeah so your second brain is called the enteric nervous system, right? Enteric just means like gut, okay? And the gut brain axis is the relationship between the enteric nervous system, AKA the brain in your belly, and the brain in your head, right? So your central nervous system and your enteric nervous system are in this two-way sort of bimodal relationship, which means that the thoughts that we think, the stressors that we experience, the good things that we experience, these have direct impact to the gut, like directly. Shawn Stevenson: That's so interesting. I think that just kind of diving in a little bit deeper here, a lot of these what we consider to be neurotransmitters are located in our gut, right? Dr. Jillian Teta: Yeah so what's cool about that, I don't think a lot of folks know that 90% of the serotonin that is made in the body, and the vast majority of the receptors to hear serotonin's message actually are in the gut. So we make in our guts most of our body's serotonin, and that is shaped by certain types of bacteria that live in our microbiome. They are sort of like the conductor that helps orchestrate the production, the relative speed or slowness of the production of serotonin. Shawn Stevenson: That's fascinating. You know if everybody can just take a step back and think about when we talk about the microbiome, we're literally talking about this- and I said earlier, a rain forest is just a good analogy because there are so many different species, and these species are creating things in us, for us, you know? Especially when we talk about the friendly flora. You know so they're creating vitamins and minerals in us, for us. 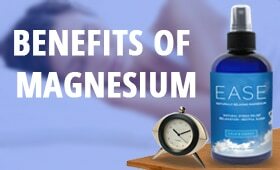 They're helping to create neurotransmitters like you just talked about, and hormones, and things related to sleep, and to just overall wellbeing and feeling good. But when that cascade gets a little off even a little bit, it can start to cause some things that we experience upstream, right? 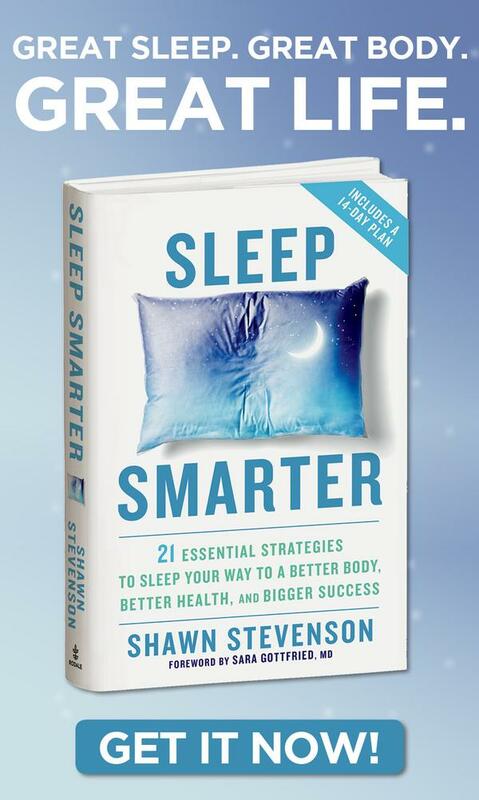 Shawn Stevenson: So we think we kind of experience the world through our head, and so we don't usually relate to issues being wrong in our gut unless we actually have a stomachache, right? So I think that that's a little bit of a misnomer, it's something to pay more attention to. But what got you so interested in this topic? And what led you- and this is the big question, is what led you from just a focus on food that we're putting in our gut to more of the lifestyle practices and approaches to things to help to improve our gut health? Dr. Jillian Teta: Well that's a great question. So first- I guess there's three main reasons. First, some folks are so overwhelmed with the idea of making a dietary change that they just simply can't. So some people don't want to make a dietary change, so how can we- or they're super overwhelmed, so how can we meet them where they're at? Well maybe we can talk about these types of things. Some folks have already made enormous dietary change, you know? They've cut out all the potential food allergens, they've done the elimination challenge diet. They eat what you and I would consider a super clean healthy perfect diet. So how do we help those folks? And then there's the very practical application that Americans in 2014 spent $800 million on laxatives- just laxatives. Not other digestive aids, just laxatives alone. So when you consider all of the digestive aids both over-the-counter and prescription, all of the missed work for doctors' visits, all of the money lost in lost productivity because folks are struggling with digestive distress so much. For all of these reasons we really have to take a broader look at the digestive system beyond what we're putting into it via food. And yes, of course food is important. Dr. Jillian Teta: So I really want to underline to the listeners, I'm not just saying like, 'Go eat whatever you want,' or what have you. It's very important, but again our digestive health is not 100% fully dependent on the food that we're eating. Shawn Stevenson: That's powerful, and I love that. It's meeting people where they are, you know because a lot of people are not in position where they're motivated or willing to make a dietary change necessarily. So what can they do just to feel a little bit better? And also- and I think this is really helpful especially for a lot of our listeners who've done a lot of things right as far as their nutrition, and paying more attention to what's right for their bodies, and maybe they're taking care to fermented foods, and all this stuff, but their digestion still isn't 120. Or you know, they might have issues from time to time and they don't understand why. I think you're going to address a lot of those things today, so let's dive right in and talk about some of these things. Some of these- and this is what you call- it's a checklist for improving your digestion without changing your diet, and I absolutely love that. So let's start with the very first one that you've got. Dr. Jillian Teta: I think a simple place to start is the way in which we eat, okay? So the way that we are eating, and as our grandmothers- I don't know about your grandmother, but my grandmother used to be horrified by my table manners. So I like to talk to folks about minding their manners when they are eating. So what do I mean by this? First, I have people sit when they eat. And I'm guilty of this too, right? Where we're eating on the run. So if we're eating on the run, if we're like pounding a shake as we're running out the door, or we're eating in our cars, this doesn't send the appropriate messages to our nervous system that we are getting ready to actually eat something, and so digestive factors have to be on the ground ready to break that meal down. So I have people sit when they eat. If people are in a lot of digestive distress, I will actually have them take six to ten deep breaths before they begin to eat. And this has been shown in research to help balance out that second brain a little bit, prepare it for the incoming meal, and also stimulate the body's production of digestive enzymes, digestive acid, and bile, those types of things. So sit down, maybe take a couple deep breaths, go slowly, right? We eat so fast. My husband Keoni talks about growing up, you know he grew up with a bunch of brothers, and he said that they used to sit at the kitchen table like a pack of wild animals. Like you know, trying to eat as much food as they can before their brothers stole it from them, and their parents were just sort of horrified by it. But if we can slow down, we are less likely to overeat, and overeating, overconsumption is one of the biggest causative factors for gas and bloating, right? So if you have a lot of bloating, if you're really gassy, if you belch a lot after meals, you might want to consider just slowing down and really chewing your food well, okay? Dr. Jillian Teta: When we chew our food, we actually put less biochemical pressure for digestion on our bodies, right? So if you're just swallowing big hunks of food without chewing them, that means that you require more stomach acid, more enzymes to break them down. If you're chronically stressed, sleep deprived, drink too much, you don't have enough of that so you're going to be even gassier, and more bloated, and those types of things. Shawn Stevenson: Perfect. You know, there is so many tips there that you already unloaded for everybody. So listen to this, because there are some of these that really speak to me. The one about slow down when you eat. I was in the same situation. My stepfather, I remember like he would inhale the food. It would be gone so quickly, and when he would order a pizza for us- and I still remember the number, it's super easy to remember, 771-7777. Alicia's Pizza, it was right around the corner from us, and like I would be eyeing, trying to get those last corner pieces of this thin crust St. Louis style pizza. And man, like I just could not get with him. I could not defeat him, and he'd always end up getting the last of the pizza. And of course my younger brother, he caught up and started doing this thing as well. So I can identify with that. This was a big change for me to just slow down. And now today- and this is I guess a shout-out to the people that know me that have eaten with me before, but I am the slowest eater. Like plans have to change sometimes because I'm still eating so slowly. And part of that is of course improving my digestion from back in the day, just becoming more aware of that. But also it's just enjoying the process. Like I get to eat, and I think that that came from fasting and doing those kinds of things back in the day. Like I really do have more of a connection and appreciation of eating. So I'm glad you brought that one up, and also something you said- and I do this all the time, and I've never talked to you about this, I've never mentioned this before publicly, but before I eat, I always stop and I just kind of give thanks, and I take deep breaths, maybe like three. And I just took a deep breath right there. And so when you do this, guys, and she mentioned this, this is like turning off your sympathetic fight or flight nervous system and instantly getting that parasympathetic 'rest and digest' system turned on so you can better digest your food. It's a real thing. So maybe just- no matter where you are, I just did this yesterday, or whenever I'm having a meal, but it doesn't matter if I'm out around people, I'll just take a second. You don't have to close your eyes, and that kind of thing, but maybe you might want to, but just take a few deep breaths. Breathe in for five seconds, breathe out for five seconds, do that maybe three to six times even, or maybe even a little more just to let your body get calm so you can actually enjoy your meal and being able to digest itself. So many great tips there already, and anything else that we can look to? So we've covered basically four things here. Sit when you eat, take some deep breaths, slow down when you eat, and chew your food. So what's next? If we consider all of the people who don't actually get to eat whenever they want, I mean that can feel pretty special, right? It's actually a privilege. So I also think that slowing down helps us connect with our food and be mindful about all of the sensory inputs that we are experiencing with our food, and that's quite important. So something else that goes on with not eating too fast, is also to encourage people to eat to satiation, right? Don't overeat. Again, overeating is a major, major cause of digestive distress, and digestive dysfunction, and gas, and bloating, and all of these uncomfortable feelings. So when we're slow, and when we're chewing our food, and when we're a little bit mindful about it, we actually know when we're satisfied. Like our brain can keep up with us when we're not eating at a speed or when we're not eating on the go. Dr. Jillian Teta: So eating to satiation, not overeating, and then also to further support that second brain and to induce more mindfulness is put your phone down when you're eating, and close your laptop when you're eating. You know, I see people all the time especially at cafes, they're sitting there, they have their phone in one hand, and like a bagel in the other hand, and they're just scrolling and eating. And this is mindless instead of mindful. So I'll have people really create a space when they're eating and get rid of electronics. And then the last thing- well not the last thing, I guess the last couple things, more for minding our manners is don't talk with your mouth full, and don't talk when you're chewing because this also introduces air. So no talking with your mouth full, no talking while you're eating, and then the very last thing is to do your best to avoid having emotionally intense or stressful conversations when you're eating, right? Because when we are stressed, or we're defensive, that is going to activate that sympathetic, AKA fight or flight branch of the nervous system, which is going to have a negative effect on digestion because we want the parasympathetic or 'rest and digest' branch of the nervous system to be active when we're eating, not the stressed out branch. Shawn Stevenson: I love that. There's again so many nuggets of wisdom there, and when you're talking about not talking with your mouth full, I thought about my grandfather and eating with him, and just the look in his eyes when I was smacking my food, and seeing the hand come up- like coming towards me. But you know, I learned, you know? I learned. And you know this goes back to what you said in the beginning. It's kind of like these are basic things of our manner system in our culture, but how often do we adhere to these things? Shawn Stevenson: And I just can't do it, you know? Like if there's a- we'll say a heated debate with my wife, or something, she'll just go to town eating her food. But you know, this is one of the things, again your thoughts are chemistry and it's changing the hormonal cascade in your body just by you carrying that anger, or that anguish, or that sense of anxiety or fear, or whatever it might be. So the best thing to do is to get ourselves- and a lot of times I think people do eat to try to suppress things like that. So that's a whole other conversation I think. What do you think about that? Dr. Jillian Teta: No, I absolutely think emotional eating is a real, real problem, right? Food is our original drug. I mean truly food is the original drug and we rely on it heavily for a lot of different reasons beyond our nutrition, and I do think folks would use food to comfort. Absolutely. But this is one of the things, like it's just become a part of our culture. It's become- for many of us like it's an extension of our body. Like we think we're Cyborgs, but it's just we're not. Not yet, not yet. Shawn Stevenson: Yeah just today our video tech here, Shoe, he told us that he lost his phone like a few days ago. Shawn Stevenson: It shattered? Oh, it shattered. So how do you feel now? Shawn Stevenson: He said he feels naked without his phone. He's a fully clothed man over here in the studio. Shawn Stevenson: But he said he feels naked without it. Dr. Jillian Teta: It's wild how in seven years, they are completely- I mean it's on our persons all the time. I remember those flip-phones, and like the big phones. Dr. Jillian Teta: You know, I'm old enough to remember all that like very clearly, and it's crazy how far it's come. Not always to our benefit, sometimes to our detriment. Shawn Stevenson: Yeah, you know the thing is- and we've talked about this on the show as well, and we've talked about even addiction and how these things take place in the brain, and how food manufacturers are utilizing the addiction pathways, and the appetite regulating network, and things like that. And also with our addiction to our technology, and social media especially, they're very gifted in stimulating that dopamine pathway, and also getting us that nice little opioid hit. And so just to unpack that a little bit, dopamine is about seeking, it's like a desire, and it's great because it has driven humanity to go and do stuff. To not just settle, but to keep evolving, keep looking, keep exploring. And when we find something, when we discover something, we get this wave or this bath in our system of these opioids, and it makes us feel good. And what's so interesting about the platforms is that every time you look, you find something. Every time, so you get that little opioid hit, and it becomes this interesting feedback loop. And so before you know it, like you're just sitting around and you might be working and you just reach over and you get your phone and you start looking, right? And it's just become this kind of unconscious behavior that we don't really acknowledge that we even have this issue. But I love that you brought this up, and we can be more mindful of that, but it's not saying do like Shoe did and go shatter your phone. It's not saying that. It's just being more mindful of it, and taking the time to actually enjoy your food because it's going to make you healthier. And you know, from time to time for myself, like I might have lunch and I'll listen to an audiobook, or I might watch more something that's kind of inspiring every now and then, but I really enjoy when I just unplug, and I just sit and I enjoy my food. And so thank you for bringing that one up. I'd love to talk about something that's a little bit more proactive in this improving digestion without changing our diet, and this is something you mentioned about walking. So going for a walk. So why did you add that to this checklist? Dr. Jillian Teta: Well I often think movement equals movement, and we talk a lot on my page about constipation. And the act of gentle daily walking does a few things for us. One, it helps balance that enteric nervous system, that second brain, that brain that lives in the gut. It actually helps to calm it down. It also calms down our central nervous system, right? Which is the brain and spinal cord. So it helps equilibrate that fight or flight and rest and digest. I often explain those two branches of the nervous system as like a seesaw going back and forth, back and forth. We truly do need both. We truly do need both, but when that sympathetic fight or flight becomes overdriven or dominant, it's not like there's two little school kids on the seesaw. It's as if there is an elephant sitting on one end, and a little Chihuahua sitting on the other. It gets stuck. And when it gets stuck, that's when we begin to have these more deleterious effects, right? We get heartburn, we can't poop, like we feel bloated all the time. So from the perspective of balancing out the nervous system, the daily walk is wonderful. The daily walk also buffers the brain against the negative effects of excessive cortisol. So cortisol is one of these hormones that I think is largely maligned, mostly because it's spun in a negative way. We only talk about like the negative effects of cortisol. Dr. Jillian Teta: We don't need to sit there and talk about the positive benefits of cortisol. It's enough to say that when cortisol is overly high, it is going to be stimulating to that fight or flight branch, which is going to have trickle down effects into our guts and second brains for the worse. And so going for that walk helps smooth out all of those rough edges. For me, I like to coach my clients that when they are walking, we inject a little bit of mindfulness into that as well. So we are feeling the air on our skin. We're feeling like the sun or the rain on our skin. You know, we're looking at what's around us whether it's flowers, or trees, or a dog, or the road, or cars, or what have you. We are really immersing ourselves in the sensory experience of the walk, and that is wonderfully and powerfully grounding. It's a great way to start the day. Shawn Stevenson: You know, I just came back from a trip not too long ago taking my wife for our ten year wedding anniversary to New York City. And this is the first thing that comes up for me is just like what about the folks who don't have that kind of natural environment to adhere to? And by the way, we did hop over to Central Park for a little while, got some grounding time in, and it's just beautiful to even see people hanging out there, and little kids, and pets, and things like that. There's always a way, there's always opportunity, and we just do the best we can. And it's just so important for us to realize what Dr. Jillian is sharing here that we can still have the opportunity in front of us, but we have to do something about it. Like she's sharing all these strategies, but it doesn't work unless we work it. And with that said, there are so many different pieces and components here, that we can do something no matter if you live in a big city, or you live in a suburban area, a more rural area. Get out and get some sunlight. Get out and associate yourself with nature again, you know? Do the small things that can get you some big benefit, and also find some time to unplug in whatever way that is. It's kind of like if you think about it, our phones get recharged when we get plugged in, and we are kind of plugging in when we unplug in a weird way, you know? And kind of recharging our own batteries. Shawn Stevenson: And so I'm so glad you brought that up, and just all the great- you know we get the endorphins, we get this activation of again, the parasympathetic nervous system, unless you're doing like a power walk competition. Like I don't know if you remember that show Malcolm in the Middle and the guy from Breaking Bad? Shawn Stevenson: Who was on that show first, the dad, and he had on like this funny hat that had the like aerodynamic thing and he was powerful. And power walking I guess is just walking as fast as you can without jogging, and it's so interesting to see. And from time to time I see people, like I'll be driving by and they're just working those hips. So there's different ways to walk, we're talking more of a leisurely walk. Dr. Jillian Teta: Yeah and that has benefit. Like the power walk has like a different sort of benefit. It would be maybe more exercisey, where this is almost like walking for leisure, walking to slow down, walking to unplug, walking to charge your battery up in a different way. Shawn Stevenson: I about threw my hip out over here too when I was practicing that motion. Dr. Jillian Teta: Did you? Oh no! Shawn Stevenson: It's all good. It's all good. Dr. Jillian Teta: Yeah I left my leotard. Shawn Stevenson: As Shakira says, hips don't lie. Dr. Jillian Teta: I know, I love Shakira. Oh my God. Shawn Stevenson: So you said earlier, movement encourages movement. Shawn Stevenson: And so what jumped to mind for me, and something that you talk about as well, is part of the digestive process is also elimination. And you say that we need to get more into a proper position when we eliminate. Dr. Jillian Teta: Yeah so one of the ways in which we can improve our digestion without changing our diet is by creating a bathroom routine that works with our anatomy and psychology. So this is very interesting. Some people are extremely shy poopers. They will not poop in public, they won't poop at work, they won't poop out. You know, they're at Home Depot, they're not going to go there. And so for these people, it's very important to establish a bathroom routine in the morning, right? So the bathroom should be- I don't know, relaxing, quiet. You can create an ambiance if you want. And then I also encourage folks to use a Squatty Potty, and a Squatty Potty- or a footstool. Like you don't have to use a Squatty Potty. I mean goodness, some of my clients use like their waste- like the little mini waste baskets. You know the little waste baskets people have in the bathroom? They're like tiny size. Even that you can set your feet on. And so what the Squatty Potty does, by putting your feet on it, it elevates the knees and puts your lower bowel in an anatomically appropriate position for easy bowel movements, for easy defecation. And so utilizing that trick can actually be a game changer for some folks. Shawn Stevenson: We've actually- this is something that I've actually sent this to friends as gifts, you know, the Squatty Potty. I'm a huge fan, I have Squatty Potties in all the bathrooms in my house. And so this is the puborectalis muscle, it's kind of like a sling that kind of keeps your bowel tonified so that you're not basically just dropping off cargo as you're walking around. That would be a problem, we're not a horse, you know? Shawn Stevenson: And so by the way, this whole thing- and we'll put this in the show notes when we kind of dove in and talk about this more, and I was of course pleasantly surprised to see this was on your list too. But we can use anything, by the way, you know? And so my son- because I was with my son and watching something, or he was listening to something about the proper pooping position, and the next day I go into my bathroom and there was like a cooler. There was a little cooler sitting in front of our toilet. I'm like, "What is this cooler doing in the bathroom?" He was like, "It's for the poop." And I think he was like six or seven, or something. But from there, you know we did- the Squatty Potty is just it looks good, it easily tuck away, and just puts you in the right position. It's a lot more comfortable than trying to put yourself up or perch up on the toilet like some people do. Literally some people will perch up on the toile like they're doing the crane thing in the Karate Kid to try to poop like that. You don't have to do that. Get yourself a Squatty Potty. And we actually get the very best price for the Squatty Potty because you're getting an exclusive discount. If you head over to www.SquattyPotty.com/model you get 15% off and you get free shipping, alright? So that's www.SquattyPotty.com/model. This is exclusive. You won't see this anywhere else. It's cheaper than in the stores, it's cheaper anywhere that you can find online, Amazon, all that stuff. 15% off and free shipping for the Squatty Potty. So make sure to get yours, it's a great gift to give. The gift of health is just a great gift to give, so guys, make sure to check that out if you've yet to do so, and do yourself a favor. It's one of those things that pooping will never be the same. There was like life before Squatty Potty and life after Squatty Potty, and you can actually help yourself a tremendous amount by getting yourself in the right position so that you can properly eliminate. Dr. Jillian Teta: It never fails to amaze me just how many problems we could solve by just pooping. Just pooping. Shawn Stevenson: Just poop and you're going to feel better, you know? And so it's kind of- it's one of those things that's a little bit I guess ironic about life and poetic is that when we're not properly eliminating- and your colon is kind of like the last weigh station for- you know there's receptors there, there are- your body does pull in a few nutrients still in your colon, but if there's so much waste that it's not properly eliminated that's sticking around there, it's kind of getting recycled in a way in your body and you're carrying around this excess weight. And so you've got extra poo in your body, so you feel like poo, you probably treat people like poo, you probably have a lot of poo to say, or crap to say. 'Why you talking so much crap?' Hey, you're constipated. So that can solve a lot of problems, I'm so glad you brought that up. Now on that note let's shift gears and talk about something that again is still very prevalent. I think that there are some changes being made, but something that can help our digestion outside of the realm of nutrition is dealing better with antibiotics. Dr. Jillian Teta: So here's the deal with antibiotics. Antibiotics kill bacteria, which for people that have a diagnosed bacterial infection that is really harming them, and messing them up, and it's not going to go away without the help of antibiotics, antibiotics are necessary and lifesavers. However, antibiotics are indiscriminate killers. So not only are they killing your bad guys that might be on board, they are also killing the good guys. This can have the consequence of shaping that landscape, that ecology, that rain forest that we were talking about earlier, for the worse. So we want to have judicious use of antibiotics, and what do I mean by that? What I mean by that is don't take an antibiotic unless you absolutely need it, which again is you have a confirmed bacterial infection that is not getting better on its own and that requires antibiotic as a treatment. The other thing that I would strongly advocate for is when you are with your doctor and they are about to prescribe an antibiotic, ask for what is called a culture insensitivity test, a CNS. And this is where they take a sample, whether it's- let's say it's a urine sample for a urinary tract infection, and they grow out the critters, the bacteria that are in your body that are causing your distress. They culture it out and then they challenge it against a variety of different antibiotics. And they will see which antibiotic the bacteria is sensitive to, AKA which bacteria will kill it. So it quickly enables your doctor to pinpoint your most appropriate treatment. This will save on multiple rounds of antibiotics and multiple types of antibiotics, right? And we can all relate to this like, 'Oh that antibiotic didn't work, take this one now.' Right? And so now we're having these like multiple weeks and months on a variety of antibiotics, and if you're not taking a probiotic, and you're not taking care of your gut health, that is really messing up your microbiome. Now some folks can have antibiotics and it doesn't upset them. However in my line of work, I see folks every day who haven't been right since they had that course of antibiotics, or since they were on multiple antibiotics as a child, or they got C. Diff., or they got antibiotic associated diarrhea, and they've never been the same since. So using antibiotics judiciously only when they're needed, and in a very appropriate laser focused way is going to help buffer your microbiome. And then also it's very important that when you are taking an antibiotic, that you take a probiotic too. And I know there's a lot of confusion on this, and people go on the Interwebs, and the natural blogosphere, and all of this. But by taking a probiotic on the same day that you are taking antibiotic, you are not making the antibiotic work any less. The antibiotic is not just going to kill off all the probiotics, right? So they're not canceling each other out. Instead the probiotic is buffering you against things like antibiotic associated diarrhea, and C. Diff. infection, and it's helping your gut microbiomes stay robust. Shawn Stevenson: That was something that I was concerned about myself, and talking with so many patients over the years, because it's a fear of like, 'I shouldn't be taking this probiotic with the antibiotic. Isn't it going to kind of throw that off? Or the antibiotic is going to be killing that,' or whatever. But you recommend actually taking it together. Maybe not at the same exact time of day, but maybe over the same course. Dr. Jillian Teta: Yes. And what's more, Shawn, I recommend- so I mean you can give a couple- I mean some of my clients take them together, both things are in their hand, they take them together. So I think that's sort of splitting hairs like do you wait thirty minutes? Do you wait this? Do you wait that? But yes, same day, and then I will also have people take them for three times the length of the antibiotic course. Dr. Jillian Teta: So if you are prescribed an antibiotic for seven days, I'm going to have you take a probiotic for three weeks, and you're going to have that one overlap week. But say you took one three months ago, and you're not on an antibiotic now but you're having a little bit of digestive distress, it would be the same thing. I would put you on a probiotic for a little bit to help get things sorted back out. Probiotics can be seriously magic for people, seriously. Shawn Stevenson: You know, in this conversation of antibiotics as well, a lot of people always kind of want to go the natural approach first, but you have to be aware that maybe- you know that garlic for example or extracts from that is a great antibiotic, but the bacteria that you're dealing with might be resistant to that, and you're like hammering down garlic, and you're walking around smelling like who done it and what for? And it's just- it can be a problem, you know it comes through your skin, that kind of thing. But the bottom line is it's not even working to do the job that you're looking for. So if you've been dealing with this for awhile and you can't get it sorted out, how about get some testing done so you can actually target and find out the right type of natural and/or pharmaceutical antibiotic that you might need to help your body to heal from this particular infection that might have been causing you a lot of problems. And so how do you recommend- I know people need to work with a practitioner. Is this something that you can do? Do you do like correspondence for people to get this work done? Dr. Jillian Teta: Well I don't- if someone has like a UTI or a sinus infection, I don't collect those samples and run CNS's on those. I act more like a consultant. What I do run tests on are stool analysis. So looking at the microbiome, looking who's there, and looking if any bad guys are there. And the labs that I use for that also do a culture insensitivity test looking at natural and conventional antibiotics in folks. So that's kind of cool you're mentioning the garlic. So they'll check garlic, they'll check berberine, they'll do plant steriles, grapefruit seed extracts, whatever. And so they will allow you to quickly determine what to use. But in terms of running CNS for like acute infections, I don't do that at my clinic, but I do encourage that people do do that. And I think you bring up a good point that people get afraid of antibiotics, especially if they've had a bad reaction to them before, but there are a lot of things that we can do beyond even probiotics like gut repair nutrients, and these types of things, that can help support the body through. So it's like a spectrum, right? It's like you don't want to go- you would never want to not take an antibiotic that you really need because you can really get yourself messed up. Shawn Stevenson: That's perfect, and just for everybody out there who's interested in getting some digestive testing done, and kind of I've done this several times actually, and you can actually see the level of magnitude that a natural or pharmaceutical antibiotic- the impact that it would have on the bacteria that it's trying to take care of. So we'll put a link in the show notes to an episode that we did talking more about this, about GI testing specifically, and some resources that you guys can check out to get that testing done if it's something that's of interest to you. But I want to talk about- you mentioned probiotics obviously in different contexts, but this is something I even hear as on the radio for- you see commercials for like it's going to end all the problems in the world if you start taking a probiotic, because marketers screw everything up. Shawn Stevenson: So what do you think about all these different types of probiotic brands out there? Is there something specific that we should be looking for when buying probiotics? Dr. Jillian Teta: Yeah well it's neat. You know, I actually get a little bit thrilled when I see all of the positive press that probiotics are getting, because the truth is over the last several decades there has been enormous amounts of research and progress made into the study of our microbiome and the health of it. And as we mentioned earlier in the show, even though our microbiome lives in our guts, it has effect from everything to our blood pressure, our cholesterol, our waistline, the way that we think and feel, our mental emotional states, and imbalances in our microbiome are linked to things like irritable bowel syndrome, inflammatory bowel disease, obesity, depression, anxiety, neurodegenerative conditions, like it goes on, and on, and on. So now that we've sort of like stumbled upon this concept, of course the marketers are going to be all over it, right? And the truth is the clinical applications for probiotics on some of those things like anxiety or depression, those things are still in infancy stages. It's like we've caught a scent in the air and we're like, 'We know that this can help,' but it's not super laser focused yet. There are some strains that are more beneficial for certain conditions than others, and that is fairly well-delineated in the research, but bigger picture, I do think for folks that have chronic digestive distress that a probiotic can be a real game changer, particularly if there is a history of heavy antibiotic use, heavy NSAID use (nonsteroidal anti-inflammatory drugs), heavy hand sanitizer use, lots of international travel, history of food poisoning, maybe working in a profession where you're in contact with a lot of people like teachers or nurses, these types of folks. So a sort of umbrella way to look at a probiotic if your listeners are like at the grocery store looking at probiotics, I like a probiotic that's going to mimic the human GI tract as much as possible. So you'll see things like Align, right? Align is like a famous one. It's just one strain and it's in a very low dose. So even though that one strain has shown clinical benefit, to me it's going to make more sense if we deliver that strain along with other strains that your gut flora sort of know and love. So I will tell folks to look for a probiotic that is very rich in both lactobacillus and bifidobacterium strains, right? So there's lots of different types of strains under those two genera, okay? So we want lots of lactobacillus, lots of bifidobacterium. The other thing is we want to get a dose that is sort of high or on the higher end where we're entering in at about twenty billion CFUs. CFU is colony forming units. So some people, if they go a little bit too fast or too high, they might get transitional GI distress, and so I'd have them go a little bit slower. But let's recap. Lots of lactobacillus, lots of bifidobacterium, about twenty billion CFU at a minimum, and I'll usually work up close to 100. And then the other thing that I think about, a couple other things, is that I like probiotics to be just probiotics, right? Like it doesn't have to be a probiotic, and a multi-vitamin, and a greens powder, and a digestive enzyme all in one. In my experience, they tend to work better when they're used as probiotics. Some probiotics that have loads and loads of prebiotics in them like inulin, and FOS, fructooligosaccharides, all these types of things, those can be a little bit more gas producing. If you are eating vegetables and fruits, you don't need to take an additional prebiotic as well. Like your flora are getting what they need. So those are the general sort of concepts that I look at for a probiotic. Shawn Stevenson: Oh I love it. That's so helpful, and this kicks to- I think this is a great question to end with, and just tying this all together. We haven't talked- everything we've covered has been outside of the spectrum of food and ways that we can improve our digestion. But you just mentioned prebiotics, and so let's talk a little bit about helping these friendly flora to actually colonize. Because I'm sure if you're on a diet of like steak and peanut butter, and you're taking probiotics, they're probably not going to work too well. But so let's talk about the concept of having the right prebiotics, or you know resistant starch, things like that, so that we can just take a probiotic and they can actually do the job we're looking for. Dr. Jillian Teta: So it's funny because there's actually- there was a big study that just came out on the Ketogenic Diet, right? Which is obviously very low fiber. Dr. Jillian Teta: And what happened to gut flora is at first it got less diverse, and then it actually diversified on the Ketogenic Diet. Like basically on your steak and peanut butter diet. So to me it just speaks to how flexible the body is. Like it's just so amazing. Like it just like gives me like the willies and shivers and stuff. So anyway, prebiotics are fibers, carbohydrates, et cetera, that the beneficial bacteria and probiotics, which are the supplemental form of beneficial bacteria, feed on, right? So when we're eating, we're not just eating for one. We are eating for like one to 100 trillion. So we are also feeding our good guys as well. And so having nutrition that is rich in fibers like vegetables, fruits, even things like green tea and honey, these are all sources of prebiotics which will help nourish, diversify, create robustness in the microbiome. Shawn Stevenson: Perfect. So awesome, and I love that you brought that up about the recent Keto study, and looking at it. And for me, every time now when I think about diversifying the microbiome, I think about this incredible professor who actually put himself into like an indigenous tribe, and to see how quickly his microbiome changed, and improved, and diversified, just by living the lifestyle closer to nature where they're in contact with dirt, and you know more natural diet, and things like that. You know, this isn't about some cookie cutter thing because everybody can go to Dr. Google and you can find a list of prebiotics. In some instances again, we need those things, but how quickly can you live in accordance to what your body expects? How quickly can you live more of a 'natural life' in our very in many ways unnatural civilization? And that's the thing, you know? Things- again, they're not going to be slowing down anytime soon, and we're just going to have more and more tech, and we're going to have more and more opportunity for those things to intersect. But evolution takes time, and this is why I encourage everybody to just get yourself a nice dose of nature, and give your body to the best of your ability the things that your genes really expect of you. And Dr. Teta, Dr. Jillian Teta, amazing, amazing. It's so helpful to giving us these quick tips. And I want everybody to be able to connect with you, to follow your work online, so can you let everybody know where they can best get more access to your work? Dr. Jillian Teta: Yes, so my website is www.JillianTeta.com and you can find my book there, there's a link to my book, there is gobs of free stuff there- free programs, free education, including my Constipation Correction. We've talked a lot about constipation today. And then online you can find me on Instagram and Twitter @JillianTeta, and then on Facebook as Fix Your Digestion. And all that stuff is on my website too, www.JillianTeta.com. You are actually- fun fact, sister-in-law to Jade Teta who's one of our good friends at this show. Dr. Jillian Teta: Yes, yes Jade's my brother-in-law. I'm married to his brother, Keoni, who I don't think you've had him on yet but maybe one day you guys can chat. Shawn Stevenson: We should all just- all the Tetas do a show for us together. I think that would be a great time. Dr. Jillian Teta: Like a round table, yeah that would be great. Shawn Stevenson: Grand Teta, should have said Grand Teta. Shawn Stevenson: You know, and so when you said earlier about your husband competing, everybody trying to eat, of course I thought about Jade. I think he's winning a lot of times. But shout-out to Jade. Dr. Jillian Teta: Well you haven't seen their older brother, Kimo. Shawn Stevenson: Oh man, even his name. Dr. Jillian Teta: Like he's the oldest- yes! Yes. Shawn Stevenson: That's like Moana. Dr. Jillian Teta: Yes, yes. There is some serious business going on. Shawn Stevenson: I love it, so cool. Well Jillian, you are- again, one of my favorite people. I love the way that you articulate things. I love the effort and the energy that you put into helping people, and also you practice what you preach. And I encourage everybody also to check you out on Instagram, you're doing some really cool stuff there. It's just making me desire kombucha because of the way that you're making it, and the different flavors, and things like that, it's so cool. And I just appreciate you as a person, and thank you so much for sharing your gift with us today. Dr. Jillian Teta: Oh Shawn, thank you for the opportunity. I'm really grateful for you, too. Shawn Stevenson: Oh, everybody thank you so much for tuning into the show today. I hope you got a lot of value out of this, and make sure to pop over and check out what Dr. Teta is doing because this isn't going to change anytime soon as far as us taking the opportunity to create a more healthier, happier symbiosis with the bacteria that live in our bodies. And our bodies are actually just- again fun fact, and I love to share this as much as I can, we have upwards of 50 to even 100 trillion cells that make us up as human beings, but we have upwards of ten times more bacteria than we have human cells. So you are literally more bacteria cells than human cells, alright? So this relationship matters a lot, and how can we better orchestrate an environment for all parties involved to be healthy and to be happy? And so that's what I really wanted to share with you today is some of the things outside of the norm, outside of the paradigm, outside of the commercials you might see on TV now, which are great. We're talking about probiotics, we're actually talking about that instead of Sudafed, or whatever. You know, I don't know what they're pushing out there now. But it's just changing the conversation because people are waking up, people are becoming more aware that we don't just need to go and hammer down this one train of taking antibiotics and taking drugs. We can do a lot of things to help to solidify and fortify and support our health using means that our ancestors used, and also using some of the more natural things that we've orchestrated today. So one of the things I want to highlight as well. You know, she talked about so many different points here, but simply to slow down. To sit, to slow down, and to be with your food. You don't have to do this all the time, but try to create at least a light habit of doing this so you can actually enjoy the process of getting well, and enjoy the process of eating. I talked earlier about I have a deep enjoyment of food now. Like I actually enjoy the fact that I get to eat something. You know, like they get the one taste, and that's it. If it's a delicious meal, wouldn't it be great to like draw that process out? To enjoy the process? Right? You know, to be with your food, to be more mindful, and to enjoy the experience, again of getting and staying well. Well it came from the understanding that your digestive system, specifically elimination can be trained, right? And it's going to get on a clock. But for many of us it's just like we want that home court advantage. Everybody wants the home court advantage. You know, nobody wants to be in a random Johnny on the spot, I get that. So how can you train your body to make sure that during your daily process, you're using the bathroom. And it's as simple as making it- number one, setting the intention, and then number two is employing some of the things you learned today, and giving your body the chance to get into a rhythm with it. You know so for me, quick story, one of my big issues back when I was dealing with my spinal degeneration, which even before I got diagnosed and I was dealing with different issues, pooping was not even on my radar. Like I didn't think about pooping. I didn't think that that mattered. So- and this is a true story, and I feel bad saying this, but there would be probably days would go by, at least like two days, maybe three days sometimes where I wouldn't use the bathroom. That is disgusting. That's terrible! That's terrible. So when I would go, it was an event. Like probably play some music, light some candles, everybody leave because it's going down. It's terrible, alright? But today, you know by training my system, as part of just the even morning routine; going and getting hydrated, that can be like the stimulation for your body to signal that when you drink that liter of water first thing in the morning, it's time to have the bowel movement. Go to the bathroom, and use the Squatty Potty. Use the Squatty Potty. Again go to www.SquattyPotty.com/model, 15% off. Absolutely love them. They've got the eco models, they're super inexpensive, they've got fancier like bamboo, like just really cool-looking ones as well. But just a great gift, and it's a great gift for yourself, and also a great gift to give. So make sure to check that out. I appreciate you so much for tuning into the show today. 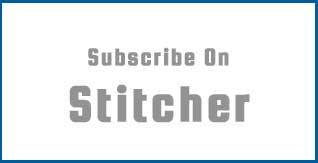 We've got some incredible episodes coming up, and some great guests and show topics. But today it's really about application. We've got some tips, and strategies, and tools from one of the best in the business, now it's our job to go out and put some of these things in place. Alright? I appreciate you so much. Take care, have an amazing day, and I'll talk with you soon.